The instructors at Fairfax Jiu Jitsu are highly experienced in Brazilian Jiu Jitsu (BJJ), no-gi submission grappling, Judo, wrestling, boxing, Muay Thai, Mixed Martial Arts (MMA) and Capoeira. Our professional training staff bring passion, experience, and expertise to make sure students develop concrete skills, reach their goals and their true potential. FJJ’s instructors have over 100 years of collective martial art and combat sports experience. For competition, self-defense, fitness, or fun, become a part of Team FJJ today! Email train@fairfaxjj.com or call 703-435-9899 to schedule a free class. Mark was raised an Army Brat and lived all over the United States. He began his Martial Arts training at the age of 8, studying Tae Kwon Do while living in Honolulu, Hawaii. While serving in the U.S Army his interest in Martial Arts was revived after watching Royce Gracie defeat much larger opponents in the Ultimate Fighting Championships. 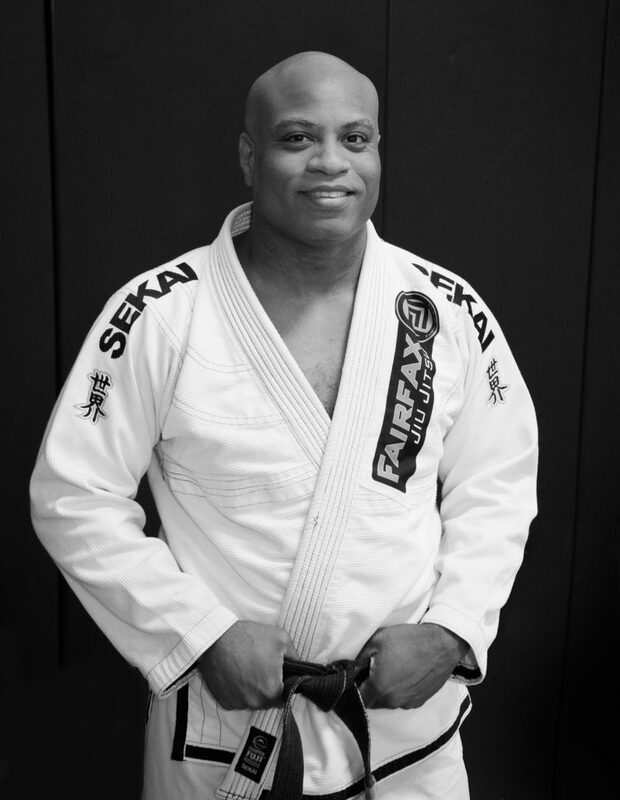 Mark began training in Brazilian Jiu Jitsu in 1999 and earned his Black Belt in 2007. Mark is a two time Pan American Gold Medalist, and holds a Gold Medal from the International Masters Championship in Rio De Janeiro, Brazil. Mark served 8 years as a United States Paratrooper and served in both operations Desert Shield and Desert Storm. After an honorable discharge from the Army, he went on to graduate from Virginia State University. After college, Mark worked with troubled youth as a Probation Officer for the Fairfax County Juvenile Court and Juvenile Detention Center for 8 years. He currently serves as an Attendance Officer for Loudoun County courts and the public school system. Mark has combined his love of martial arts with his understanding of working with young people and has developed a fun and safe environment for kids to learn Jiu Jitsu. After watching the first UFC's in the early 90's, Sam began searching for a practical martial art that was grounded in effective techniques rather than forms and board breaking. After some disappointing experiences with more traditional martial arts, he began training submission grappling in 1997 in his garage with friends. In 1998, he began his formal training in Brazilian Jiu Jitsu. From that first group class experience, he was hooked and has been passionate about BJJ ever since. Sam is committed to helping students connect with Jiu Jitsu and teaching effective technique, new and old. He enjoys coaching FJJ competitors and can be heard loudly “advising” and supporting students at the local, national, and international tournament scene. In 2012, as a brown belt, he won the gold medal at the International Masters Championship in Rio de Janeiro, Brazil. 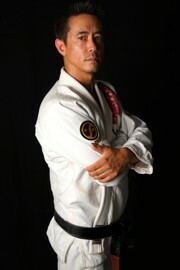 Coach Kim is a 1st degree Black Belt belt in Brazilian Jiu Jitsu and teaches adults and children at FJJ. Sam is the owner and founder of NHB Gear, one of the longest running MMA and BJJ brands and suppliers. He is a Virginia Certified Substance Abuse Counselor and holds a National Certified Addiction Counselor credential. Outside of the Academy, Coach Sam is completing his Masters degree in Clinical Social Work and is a mental health therapist working with adolescents, adults, and couples. Sam is the proud father of three children. His 17 year old son, Matthew, began in the kids program at age 6 and is now a blue belt in Brazilian Jiu Jitsu. Matthew is an assistant coach with the FJJ's kids program helping the next generation learn and grow to become successful young men and women. Matt has been involved with martial arts for over 27 years since starting in Judo when he was 8 years old. When Matt was 14 years old he started training in Kwok Wu Chen, which is a blend of Tomoi (Malaysian kickboxing), Kung Fu, and Tae Kwon Do. In 1993, when Matt was 18, he enlisted in the US Navy. After completing Underwater Mine Warfare A-School, he was stationed in Okinawa, Japan. While serving in Okinawa for 4 years, Matt trained Japanese style Thai Boxing and Western Boxing at the World Boxing Gym and at the Hiranaka Gym. Matt fought and won 3 times in Japan. In 1998 Matt completed his enlistment and returned to the United States. He trained kickboxing with Ray Casal in Niagara Falls, NY. In 2002 Matt graduated from State University of New York at Brockport with a bachelor's degree in Physical Education and Health. Matt moved to the Northern Virginia area to teach physical education at a local elementary school. He also started training Muay Thai. 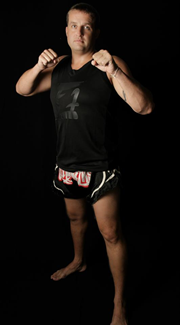 In 2004 Matt began traveling to Thailand during the summer months to train at various Muay Thai camps. He trained at Fairtex Gym, Sor.Vorapin Gym, True Bee Gym, Kaewsamrit Gym, and most notably Sinbi Muay Thai Camp in Phuket. Matt spends several weeks in Thailand every year exclusively to train in Muay Thai, bringing back authentic Muay Thai to FJJ students. Matt also holds a Brown belt in Brazilian Jiu Jitsu. Brian, affectionately known as “B. 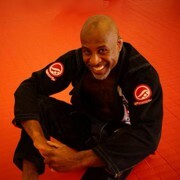 Jones,” started training in Brazilian Jiu Jitsu in 2000. He received his black belt in 2013. He was the Silver Medalist in the 2011 International Masters Championship in Rio De Janeiro, Brazil and the Bronze Medalist in 2012. Brian has worked as a Probation Officer for Fairfax County since 1998, helping kids navigate the legal system and successfully serve out their court-ordered probation. He is also a Certified Handle with Care Instructor, providing training on how to restrain out of control youth in a safe manner. Bill is a life long student of the martial arts and has been an active competitor since he stepped onto the wrestling mats at age 5. He is a certified USA Boxing Coach, Black Belt in Judo, and a Brown Belt in Brazilian Jiu Jitsu. 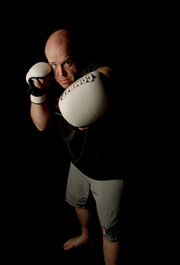 Bill's knowledge and skills in combat sports covers a wide category of skills including Wrestling, Judo, Brazilian Jiu-Jitsu, Boxing, and Kick Boxing, with years of training in each aspect, finally culminating in teaching Mixed Martial arts exclusively since 2005. Previously, Bill was the owner and head coach of the highly successful Steel Valley MMA, which produced some of the top ranked amateur MMA fighters in Ohio. Yara Cordeiro holds a Bachelor's Degree in psychology and physical education, and has been a physical education teacher for over ten years. She has Graduate Degrees in Sports Psychology and in Capoeira from the University of Brasilia (UnB) and a Master's Degree in Psychology from the Brasilia Catholic University (UCB). She has consistently directed her studies towards understanding the unexplored aspects of the relationship between capoeira and sports psychology. This has led to the publication of three books: Capoeira, Identidade e Adolescencia [Capoeira, Identity and Adolescence] (2008); Capoeira e desenvolvimento [Capoeira and development] (2005) and Capoeira e auto-estima [Capoeira and self-esteem], (1998/2003), the latter now in its second edition. Besides her academic work in capoeira, Yara has been a practitioner for over twenty-five years and a teacher for over 15 years. 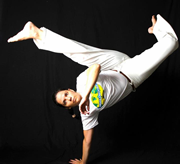 She has held workshops and given lectures about capoeira in Brazil and the U.S. Yara is qualified to teach capoeira to the most diverse groups: children, adolescents, adults, people with special needs and the elderly. She has created a special fitness program that uses capoeira movements for aerobic and localized exercises, as well as another program that uses capoeira movements as a form of body expression and for choreography.